This fit and flare dress comes in a lurex rib knit fabric with a ruffled hemline. If you’re ready to save majorly, look no further than FORWARD’s winter 2018 sale. The luxury fashion retailer offers up to 50% off on amazing finds. Whether you are searching for that perfect cocktail dress, suede bag or leather ankle boot; there’s plenty of options. Choose from leading brands such as Loewe, Chloe, Saint Laurent and Valentino. Discover a few of our favorites from the sale below and shop more at FWRD.com. Made from brown leather, an ankle boot features a playful pink 4″ heel. 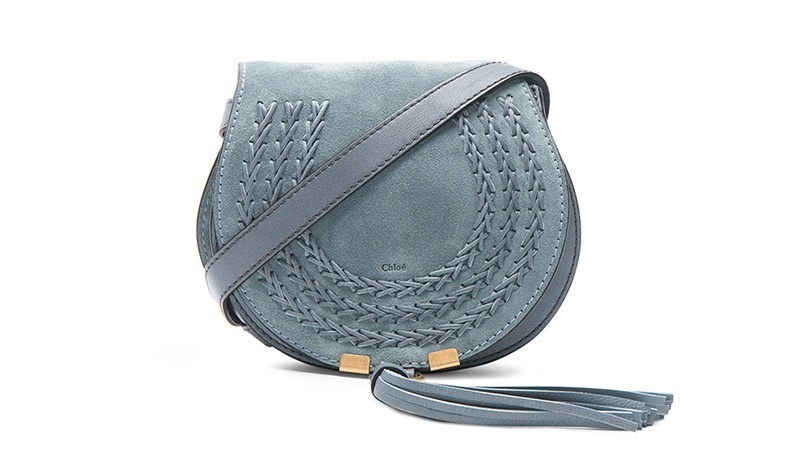 A calfskin suede bag comes with gold-tone hardware and bohemian inspired braided detail. This cream colored dress comes in a stretch knit fabric with embroidered stitching. Made from pink velvet, a bow embellished heel adds some flirtiness to any look.